There are mitigations available for an uncontrolled resource consumption vulnerability in programmable logic controllers (PLCs) for ABB, Phoenix Contact, Schneider Electric, Siemens, and WAGO, according to a report with NCCIC. High network load can consume CPU power in such a way the normal operation of the device can be affected to the point where the configured cycle time can be influenced. Public exploits are available for the remotely exploitable vulnerability. 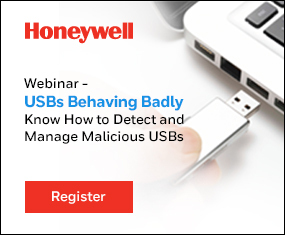 An attacker with low skill level could leverage the vulnerability. Matthias Niedermaier (Hochschule Augsburg), Jan-Ole Malchow (Freie Universität Berlin), and Florian Fischer (Hochschule Augsburg) discovered the vulnerability. In the vulnerability, researchers found some controllers are susceptible to a denial-of-service attack due to a flood of network packets. CVE-2019-10953 is the case number assigned to this vulnerability which has a CVSS v3 base score of 7.5. ABB, Phoenix, Schneider Electric, Siemens, and WAGO are companies based in Europe that deploy their PLCs worldwide across the following critical infrastructure sectors: Chemical, commercial facilities, critical manufacturing, dams, energy, food and agriculture, transportation systems, and water and wastewater systems. ABB concludes the reported behavior is not a vulnerability but is due to a misconfiguration of the PLC watchdog, which was left in the default factory settings. This has led to a configuration that does not match the expectations expressed in the test cases and the result is the PLC not reacting as intended. This misconfiguration can be fixed by setting an appropriate combination of task priority, task cycle time, and watchdog settings. See the “Onboard Ethernet Handling in CPU Firmware” chapter (System Technology for AC500 V2 Products > System Technology of CPU and Overall System > Onboard Technologies > Ethernet > Ethernet Protocols and Ports for AC500 V2 Products > Onboard Ethernet Handling in CPU Firmware) for further guidance. Phoenix Contact acknowledges this as a “known, won’t fix” issue for old products. Currently available products provide countermeasures to mitigate the impact on the safety-related functionality. Phoenix Contact urges users to adhere to the application note. 2. Or run the Schneider Electric Software Update tool in order to download and install EcoStruxure Machine Expert – Basic v1.0 software. 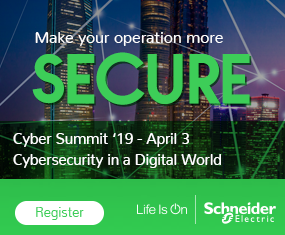 Click here to view Schneider Electric’s security notice SEVD-2019-045-01. Siemens has investigated the vulnerability report on PLC cycle time influences and concludes the report does not demonstrate a valid vulnerability for Siemens PLCs. WAGO recommends users operate the devices in closed networks or protect them with a firewall against unauthorized access. Another recommended mitigation is to limit network traffic via the switch rate limit feature according to application needs. Also, consult the product manuals on the WAGO website, as this is a known problem for some devices. Links to product manuals and specific instructions about how to limit switch rates can be found in the VDE CERT advisory.